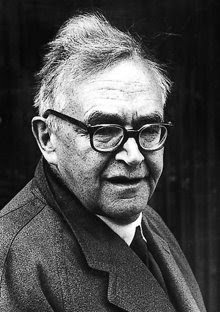 I haven't read much Barth, but Jason Goroncy has, and here's a quotation I dug up that he posted a while back. I found this quote breathtaking. My favorite line, "That double proof of omnipotence in which God did not abate the demands of His righteousness but showed Himself equal to His own wrath; on the one hand by submitting to it and on the other by not being consumed by it." Yeah, I like that part a lot as well. The quote definitely gives some food for thought when reading Romans 3:21-26.